Welcome to the website of the Castletown Foundation. Who we are: The Castletown Foundation was established in 1979 as a charitable educational trust to manage and conserve for future generations Castletown, Ireland’s most significant Palladian house, and its important collections of Irish Georgian paintings and furniture. Throughout the 1980s and early 1990s the Foundation was responsible for all aspects of the house and its collections. In 1994 the Foundation successfully negotiated the transition of the house and its surviving parkland into state ownership, marking a significant moment not just in the history of Castletown but in the history of Irish country houses more generally. The Foundation, however, retains to this day ownership of much of the nationally and internationally significant decorative arts collections at Castletown. 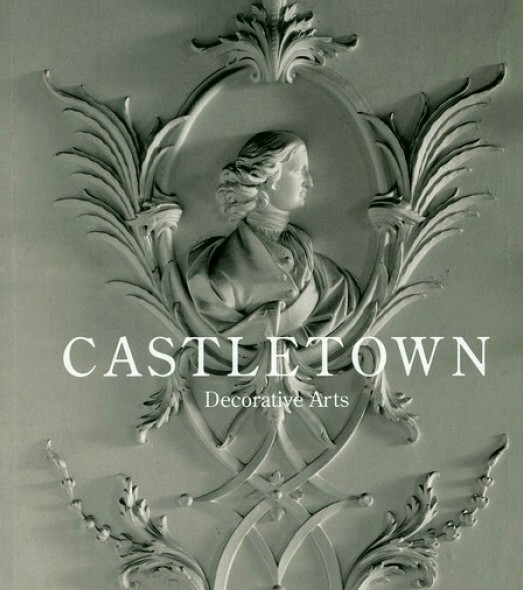 The front cover of the Castletown Decorative Arts catalogue published in 2011 as a joint project involving the Foundation and the OPW, a project that demonstrated our excellent working relationship. Maintaining its identity as an independent entity the Foundation continues to play an important advisory role at Castletown, working closely with the Office of Public Works to ensuring that the house, its collections and designed landscape are conserved and protected for future generations. To promote and further the advancement of education, knowledge and engagement in the fine arts and heritage in Ireland. To advocate for and assist in the care and sustainable conservation of Castletown House, Celbridge, County Kildare and its contents and collections. To stimulate public interest in the fine arts and heritage and to that end to promote the knowledge, appreciation and practice of the fine arts. Our members: The membership of the Foundation is representative of its aims and interests. Details on the current directors, all of whom serve in a voluntary unpaid capacity, can be found in the members section of this website.